Q. 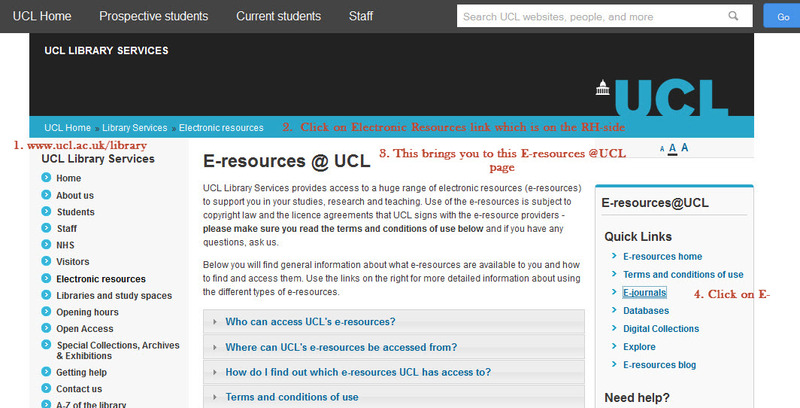 How do I find out if UCL Libraries has a subscription to an eJournal, e.g. 'Nature'? 7. If the library subscribes to the journal, the results will appear at the bottom of the screen. 8. Click on SFX@UCL next. 9. This will take you to the page which provides routes to get to the full text. 10. Select the appropriate link. Tip! 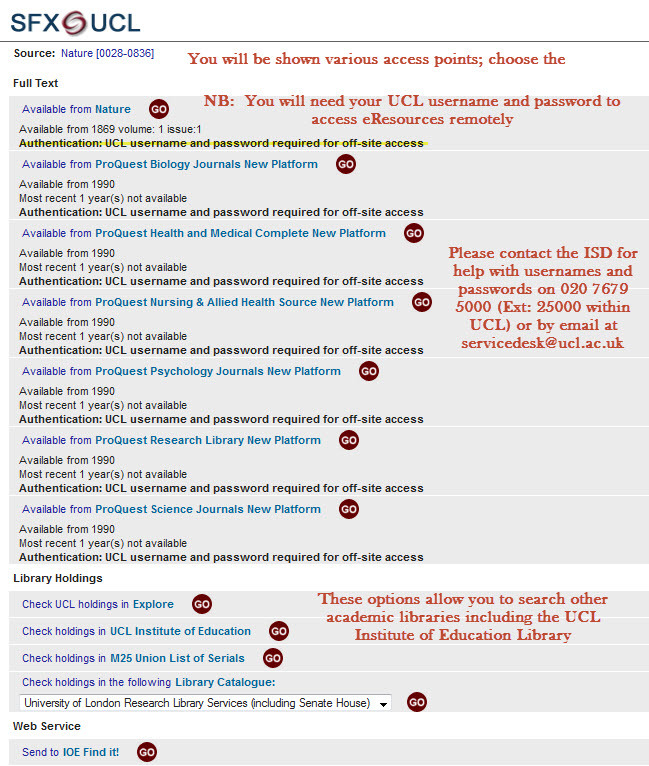 Please note that if the eJournal is not available for the years you require, you may want to check for print holdings in the UCL Libraries or the holdings in other academic libraries - see links at the bottom of the page for the link to the UCL Institute of Education Library. Tip! It is best to follow the steps outlined above than to try and access an eJournal from a publisher's website. This route allows you to authenticate using your UCL username and password at the appropriate page using the 'Single Sign-on' option.